Dec 11, 2016: Which is more suitable ram for particular mobo? Feb 27, 2017: NEED HELP UPGRADING PC. Got an old lenovo m58p and it needs some upgrading. Apr 16, 2017: Is this a scam? Chinese seller on Amazon. May 14, 2017: [Build Upgrade] Time for an Upgrade! May 14, 2017: Upgrading RAM, will this work? May 14, 2017: Wanting to upgrade RAM, will this be okay? Jun 27, 2017: [Request/Help] Does anyone have any tips/suggestions about my current build? Jun 30, 2017: [Build Help] I want to move my internals to a micro atx build, but I need help (hopefully) finding one to fit most of my current parts. Jul 03, 2017: Will this RAM work with my processor? Jul 06, 2017: Are there any noticable differences in between these two RAM? Mar 26, 2018: [Help] Will this Ram be compatible with this PC? Nov 22, 2018: Adding more RAM? Dec 25, 2018: desktop w DDR3L-1600 UDIMM ram, can i add DDR3L-1600 SODIMM ram? Feb 11, 2019: Can I change to RAM to this? 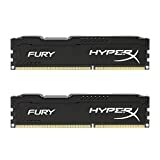 Mar 01, 2019: Super Newb looking for some advice about RAM!